India and the United States signed the landmark Communications Compatibility and Security Agreement (COMCASA) on Thursday as the two nations held the first edition of the 2+2 ministerial dialogue in New Delhi. COMCASA will enable the Indian military to access critical and encrypted American defence technologies. COMCASA is the India-specific version of Communication and Information on Security Memorandum of Agreement (CISMOA). It comes into force immediately, and will be valid for 10 years. COMCASA is one of the four foundational agreements that any country needs to sign if it wants to become a major defence partner of the United States. The other three are the General Security of Military Information Agreement (GSOMIA), the Logistics Exchange Memorandum of Agreement (LEMoA) and the Basic Exchange and Cooperation Agreement (BECA). 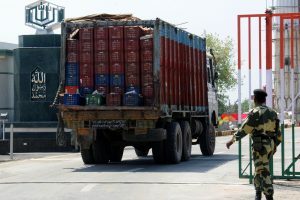 India signed the GSOMIA in 2002. The LEMoA, which allows both countries to have access to each other’s designated military facilities for refuelling and replenishment, was signed in 2016. The two nations have not signed BECA yet, which facilitates the exchange of geospatial data. After signing COMCASA, India will have guaranteed access to critical US defence technologies and communication network for the purpose of inter-operability. The armed forces of India can now install US-made high-security communication equipment on defence platforms sourced from America. The defence deal will enable India to optimally utilise all existing US-origin platforms such as C-17, C-130 and P-81. The agreement also provides a legal framework for US to India transfer of communication security equipment. 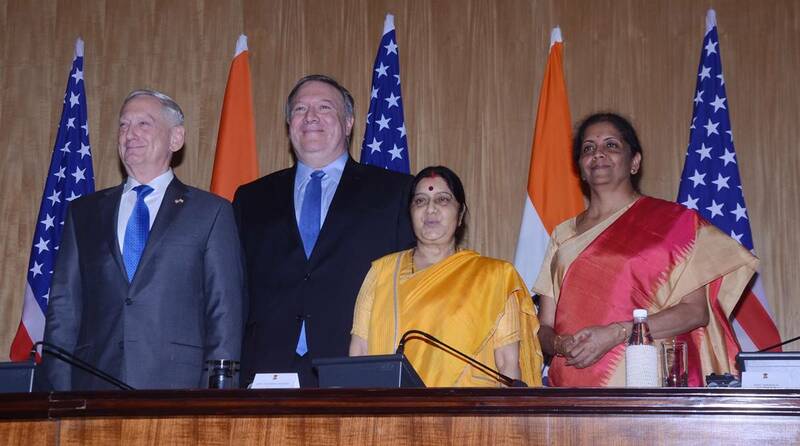 The agreement was signed by the two countries during the first of its kind 2+2 dialogue where External Affairs Minister Sushma Swaraj and Defence Minister Nirmala Sitharaman hosted US Secretary of State Mike Pompeo and Defence Secretary Jim Mattis. During a joint press conference after the talks concluded, Union External Affairs Minister Sushma Swaraj said maritime security had been a focus area of the India-US cooperation. “To deepen our ties in this area, we will expand our interactions on Maritime Domain Awareness,” she said.